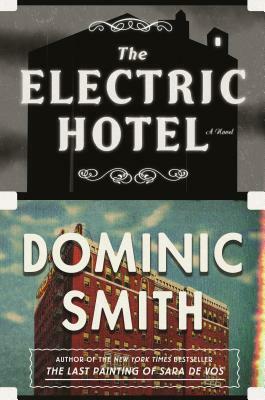 A sweeping work of historical fiction from the New York Times–bestselling author Dominic Smith, The Electric Hotel is a spellbinding story of art and love. For more than thirty years, Claude Ballard has been living at the Hollywood Knickerbocker Hotel. A French pioneer of silent films who started out as a concession agent for the Lumière brothers, the inventors of cinema, Claude now spends his days foraging for mushrooms in the hills of Los Angeles and taking photographs of runaways and the striplings along Sunset Boulevard. But when a film history student comes to interview Claude about The Electric Hotel—the lost masterpiece that bankrupted him and ended the career of his muse, Sabine Montrose—the past comes surging back. In his run-down hotel suite, the ravages of the past are waiting to be excavated: celluloid fragments in desperate need of restoration, as well as Claude’s memories of the woman who inspired and beguiled him. The Electric Hotel is a portrait of a man entranced by the magic of moviemaking, a luminous romance, and a whirlwind trip through early cinema. Sit back, relax, and enjoy the show. Dominic Smith grew up in Australia and now lives in Seattle, WA. He's the author of the novels: The Last Painting of Sara de Vos, Bright and Distant Shores, The Beautiful Miscellaneous, and The Mercury Visions of Louis Daguerre. His short fiction has been nominated for a Pushcart Prize and has appeared widely, including in The Atlantic, Texas Monthly, and the Chicago Tribune's Printers Row Journal. He has been a recipient of a Literature Grant from the Australia Council for the Arts, a Dobie Paisano Fellowship, and a Michener Fellowship.